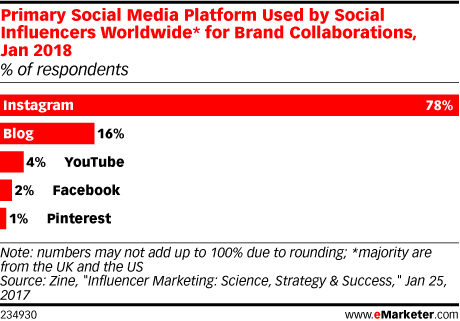 Data is from the January 2018 Zine report titled "Influencer Marketing: Science, Strategy & Success." 1,000 social influencers worldwide recruited from Zine's platform were surveyed online during November 2017-January 2018. The majority of respondents were from the UK and the US. Zine is an influencer software and marketing company.